Each of you are part of an amazing club! 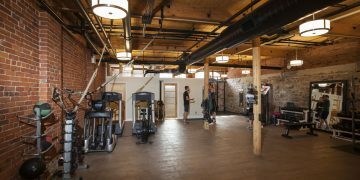 As I have worked closely with Renee over the past several months it has become clear that not only is Focus a beautiful facility, but the level of commitment of the trainers and the members make it feel like more of a family. Such a place is rare in today’s world that seems ever more focused on quick turnover and short term gain. My current company, IronStride shares the same philosophy. Our members are focused athletes, but to a person we all have a pride in the community we serve. Because of this I instantly understood where Renee was going with Focus and I am excited to be a part of it. In the coming weeks I will be spending a lot of time in the gym and look forward to meeting up with each and every one of you. Your feedback on what you like most about the gym, and any ideas that we could implement that could make it even better are not only welcome, but required! Please feel free to contact me directly.